The business world is constantly evolving, but one thing has remained constant even as everything else is changing; the necessity for face-to-face meetings. Technology may enable us to have meetings and video conferences with people half a world away, but sometimes you just have to look someone in the eye and speak to them on a one-on-one basis. With more businesses expanding their horizons beyond their cities, their country’s borders, and even beyond their continents, business travel has never been more necessary. Our Modesto Ca airport shuttle representatives understand this all too well and, as such, we have decided to share a few tips on how you can effectively plan for all your business trips for more pleasant, stress-free, travel experiences. First, we recommend that you hire our Modesto car service for all your business transportation needs for reliable and expedient transportation to any destination of your choice. 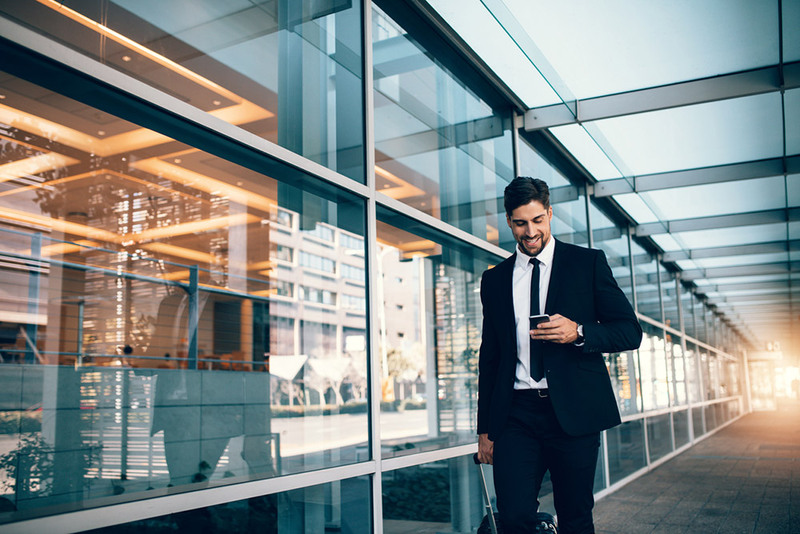 Enjoy the comfort and luxury amenities of our deluxe vehicles as you quietly prepare for your meeting, check your emails, make some phone calls, or even take a powernap as our professionally trained chauffeurs safely transfer you to your next destination. The following are measures you can take to improve the quality of all your subsequent business travels. If you are a frequent business traveler it would be prudent of you to keep certain essentials prepacked at all times; you do not have to start packing from scratch every time you have to hit the road. Keep your suitcase packed with essentials such as toiletries, travel documentation, ATMs, a universal plug, etc. We also recommend that you take the time to create a comprehensive packing list that you can refer to every time you are about to leave in order to make sure that you never leave anything behind. Keep it saved in your email or in your phone’s notes for quick access wherever you are. For effective business travel, you need to learn how to take advantage of technology. These days our mobile devices have the capacity to host travel applications such as TripIt that keeps you informed on all matter concerning your flight, Waze that gives you live updates on the state of congestion on various ground routes, and many more. Research and download helpful travel apps on your mobile device in order to make a more informed decision on your journeys, making your business travels much easier and stress-free. Timing is everything when you are on a time-intensive trip. Always check in online in order to get better seats and to minimize the actual airport process once you arrive. Checking in early will also make you a priority in case there are any upgrade opportunities on your flight. We also recommend that you book early flights since, statistically, they are less prone to delays and cancelations. With these measures, you will always be on time to your gate, have your preferred seat on the plane, and are less likely to be delayed at the airport.